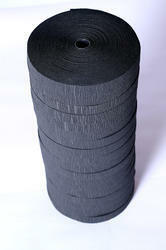 We can offer you black paper from 80 grams onwards in roll form and in 1000 mm jumbo. This is a MF quality paper. High absorbency.can use for electrical insulation. 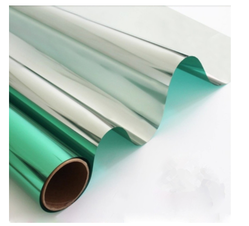 We produce sun heat reflective papers for building glass windows for the efficiency of air conditioners and maintain proper temperature insides of a building. This laminate reflects sun heat and allow minimum heat inside the glass. Available in 10 meters rolls x 16" width.